The annual Burston Strike School Rally will be held on Sunday 4th September. 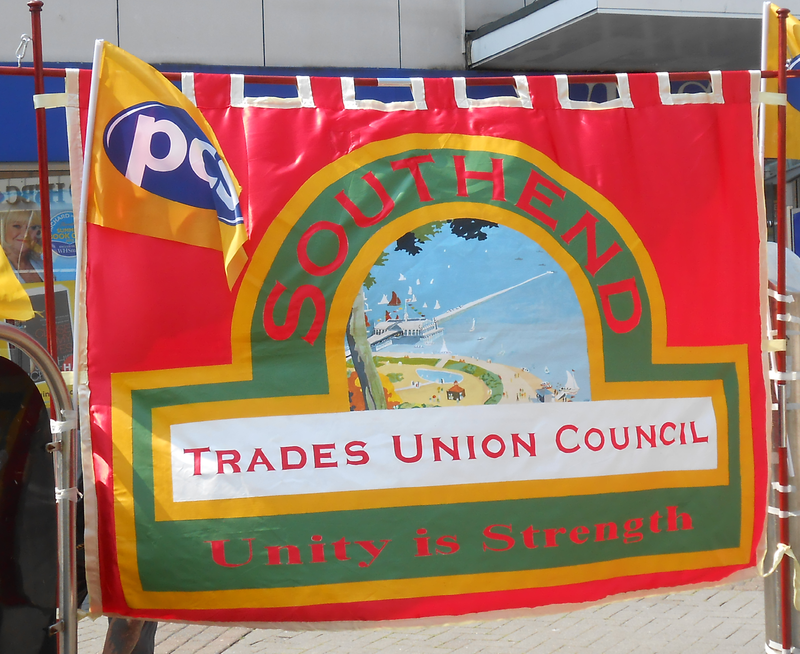 The march and rally commemorates the continuing struggle for trade union rights, working class education, democracy in the countryside and international solidarity. There will be speakers from the Labour Movement plus music and entertainment. The Southend TUC has organised a coach to Burston, near Diss, Norfolk. The pick up points are White Horse 7.15 am, Queensway 7.25 am, Prince Avenue Tesco 7.35 am , to arrive at Burston by 10.30 am. The return journey from Burston will start at 4.30pm. In 1st April 1914 the pupils of Burston School marched in support of their two dismissed teachers, Tom and Kitty Higdon. The Higdons were closely associated with the Agricultural Workers’ Union which brought them into conflict with the squirachy and the Church of England which was responsible for the education of children in the countryside. Association with the farm workers’ union and Tom’s election to the Parish Council as a Labour member had prompted the dismissals. The school children, 66 out of 72, had gone on strike. This was to be the first day of the longest strike in history. The Strike School, the alternative to the CofE County School from where the Higdons had been sacked, was at first located in the blacksmith’s workshop and latterly in purpose built premises erected on Burston Village Green by Labour Movement subscription. The Strike School continues to function until the beginning of the Second World War. Tom Higdon died on 17th August 1939 and the school closed a few months later. Kitty, then in her seventies, was unable to carry on alone and the remaining pupils transferred to the County School. Kitty died on 24th April 1946. In 1949 the Strike School was registered as an educational charity. There are 4 trustees who, with the support of UNITE, manage the school and try to develop it as a museum, visitor centre, educational archive and village amenity. Since 1984, an annual; rally has been held in Burston to commemorate the first rally held in 1914 and celebrate the struggles that took place in Burston in the first half of the 20th century – celebration of a challenge to the old rural order that has yet to be completed, but continues to be inspired by the struggle that began in Burston. As the current government pushes forward its policies of free schools and academies to reduce the democratic accountability of education services to the community, we should not forget the lessons from the struggle of Burston.